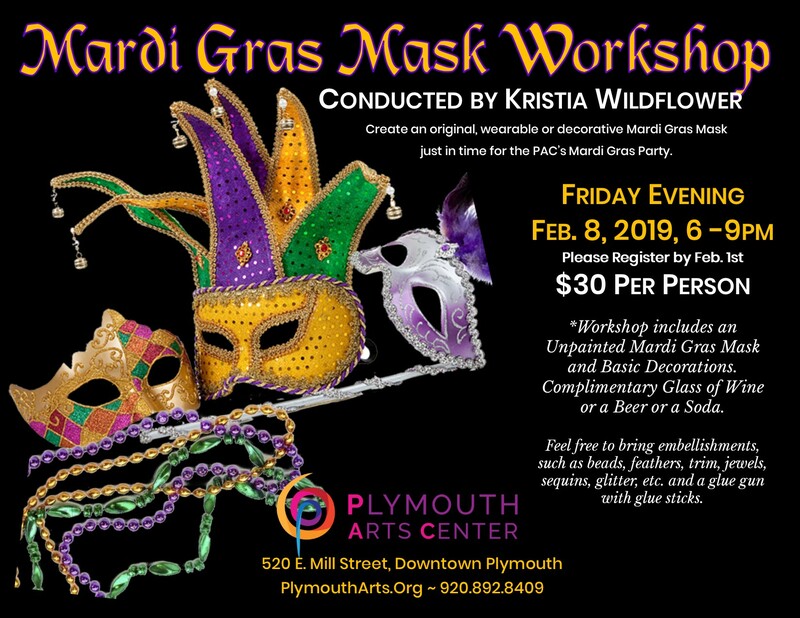 Create an original, wearable or decorative Mardi Gras Mask just in time for the PAC’s Mardi Gras Party. Register by Feb. 1st! 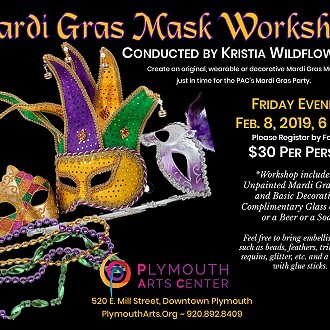 $30 per person *Workshop includes an unpainted Mardi Gras Mask and basic decorations. Complimentary Glass of Wine or a beer or a soda. 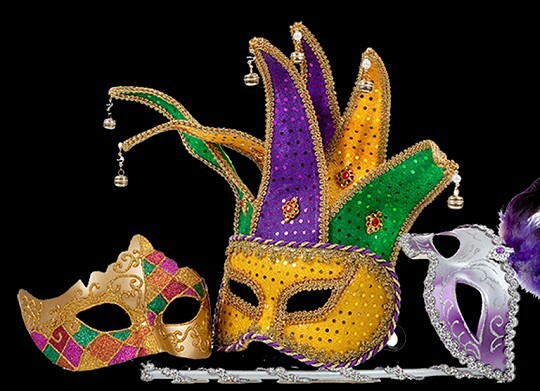 Feel free to bring embellishments , such as beads, feathers, trim, jewels, sequins, glitter, etc. and a glue gun with glue sticks.